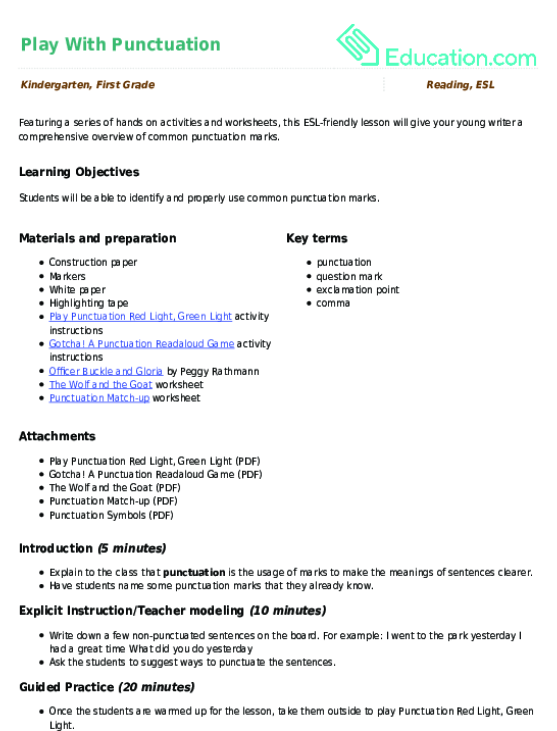 Encourage your beginning writer to learn the different punctuation marks with this practise sheet. 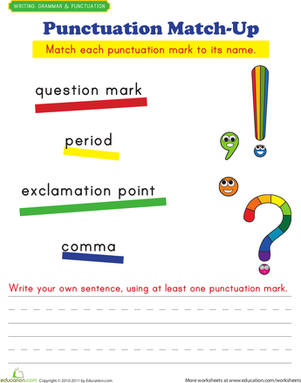 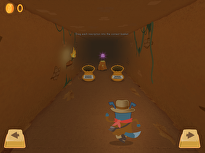 He'll identify the basic ending punctuation marks and then practise writing sentences with each one. 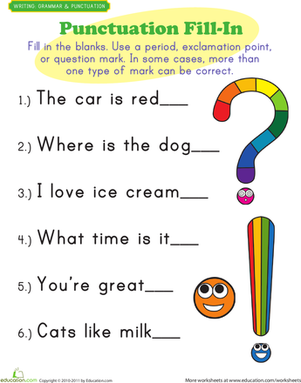 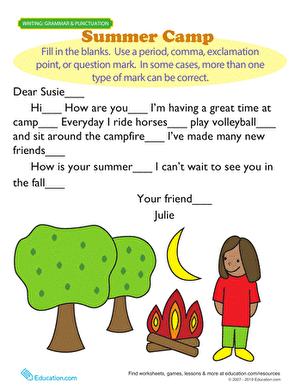 By looking closely at a punctuation-less narrative, students practise using correct end punctuation in this fun worksheet. 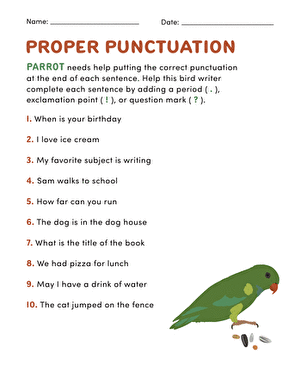 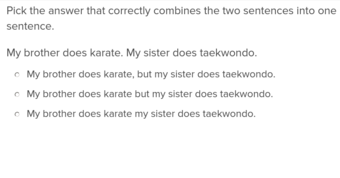 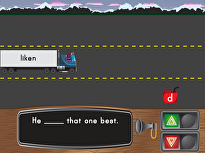 Use this assessment to gauge your students’ abilities to use correct end punctuation.